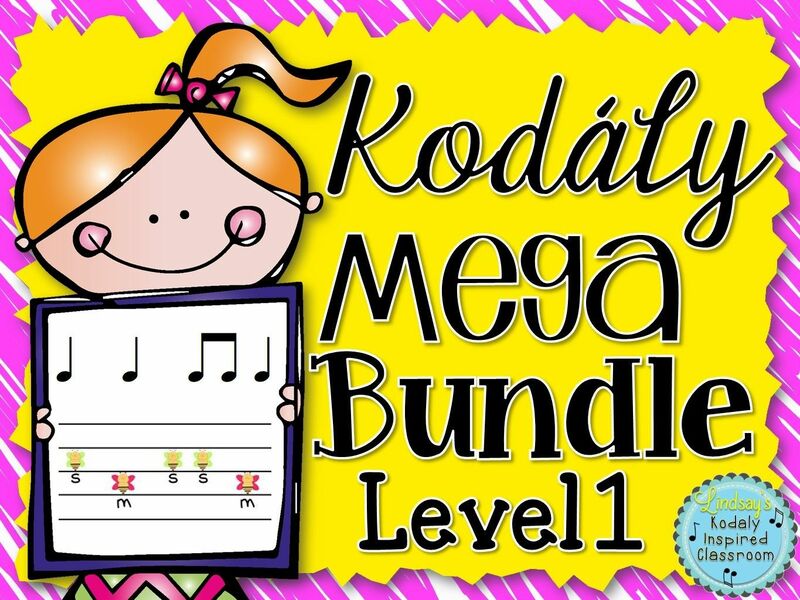 Kodaly Inspired Classroom: Get Them Dancing! When I started at my school, one of my tasks would be to lead an all school square dancing night. This night is a big fundraiser for our school. The PTA puts together food that families can purchase. Some years it has been a chili feed, other years, hot dogs, and we have a book fair the same night. Each grade level learns a dance to perform on stage as the live entertainment while parents/families eat. After they are done dancing, they can head over to the book fair to find some great new books. 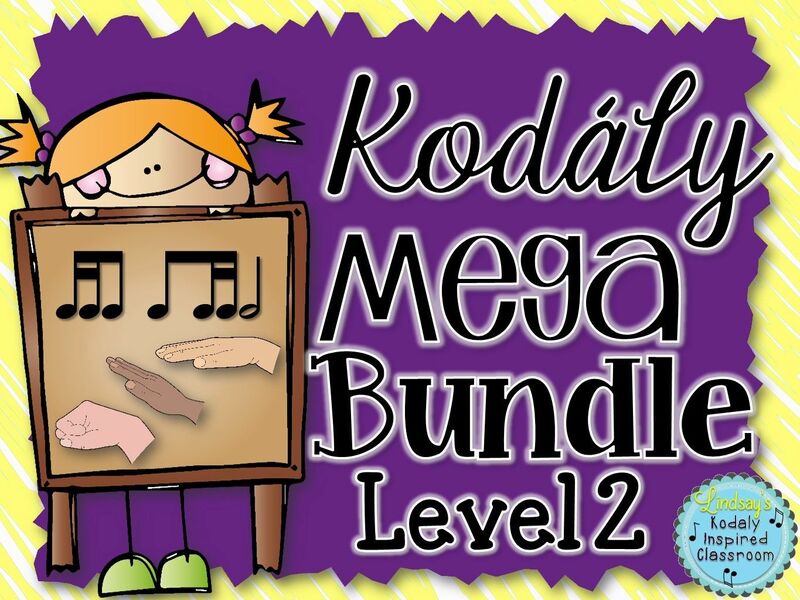 This was a bit daunting to me at first because I really didn't know a lot about folk dancing, but luckily they always do a folk dancing special topics during the Kodaly Certification program and two years ago they added a community Folk Dancing Night to KMEA, so I have been able to pick up some new dances that way. Two years ago Peter and Mary Alice Amidon led the folk dancing night for KMEA and I purchased several of their resources while I was there. Usually I have favorites that I use again and again, like Alabama Gal "Come Thru' Na Hurry," "Down in the Valley," and "Jump Jim Joe," but I am branching out and trying some new ones with my kids now that I feel more comfortable with the calls. 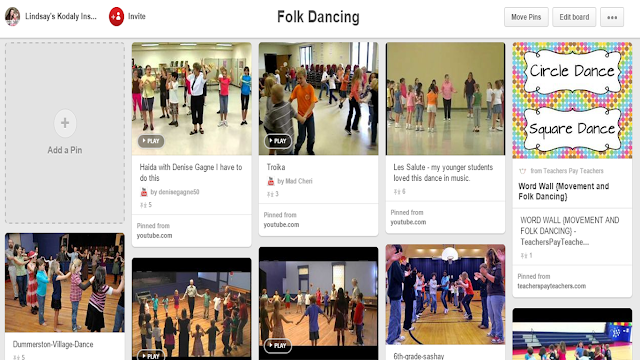 While I usually have my fifth graders present a traditional square dance, I don't restrict myself to that with all the grade levels because I think that children should get to experience dancing in ALL KINDS of formations and because square dancing limits you to multiples of eight and it often leaves students sitting out. Comment ça va? is one of the new ones I am trying. It is a circle dance from Sashay the Donut. It is a fancy version of Bastringue. I really like it because it introduces "corners" in addition to partners. Students will quickly have to go from Allemande corners, to Dosido partners, back to Allemande corners, and then to Promenade. 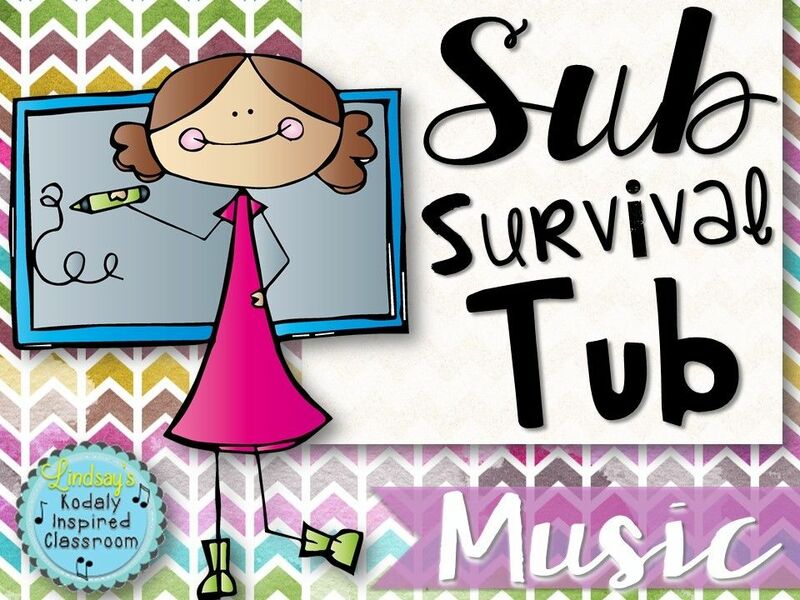 These dances are PERFECT to do right after a long break to get kids moving and listening! As we learn the dances, I teach the students the calls and what the steps of the dances are called. 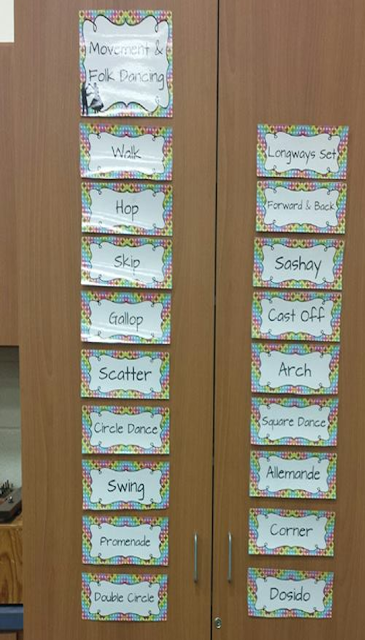 I put up a Movement/Folk Dancing specific word wall to reinforce this vocabulary. Having the vocabulary and having students recall the steps using the vocabulary has been a really powerful tool in my room to help them learn the dances. What are your favorite folk dances? Please let me know if you want more ideas on this! I'd be happy to do a whole post about it! I love the Amidon's stuff. They've been to our school twice and have just been phenomenal to watch with our kids!! There is such great music learning along with community building and learning along with folk dance. Love love love! Oh that is so cool! How did you get them to come to your school??? Lindsay, I just love the idea of an all school dance night- I've been thinking how I can pull that off in my large school ever since you mentioned it! Getting the parents involved would be fun, too! 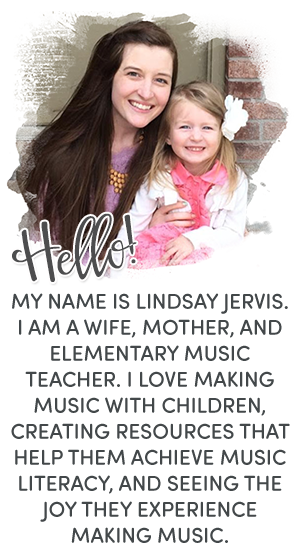 Katie, I think you may see success (and enjoyment!) with the 5th graders if you start with something simple; maybe a scattered mixer like Sasha. (You can find Sasha on the Amidon's Sashay the Donut or in Sanna Longden's materials. I often teach most of the steps when kids are in their regular music class spots (they have assigned spots on a giant floor staff that I made with velcro.) Then after they know the basic steps and the order of the steps in the dance, we'll move into the dance formation. (It took me a while to learn that most students will not listen to directions very well when they are in a long-ways set, for example!) It's easy for students to practice a right-hand turn by sticking out their right hand (as if to shake hands with an imaginary partner,) and then walking a circle around their right hand. Love all your ideas Tanya! Thanks for sharing! :) Especially love the finger dancing!